STUDENTS MAY BE once again forced to pay up-front tuition fees if the recommendations of a new report on higher education are implemented. The National Strategy for Higher Education to 2030, published this afternoon, recommends “a combination of upfront student fees and an income-contingent loan scheme”, which is seen as an “essential element of future funding arrangements for the system”. The 20-year roadmap also advocates that the number of education institutions be reduced, though it allows for surviving institutions to become larger, effectively outlining a merger plan for smaller institutions. While the report says it ‘envisages’ that some newly-consolidated Institutes of Technology could apply to be designated as a ‘technological university’ – a plan recently mooted through a merger of DIT, IT Blanchardstown, the National College of Art and Design, and the Dún Laoghaire Institute of Art, Design and Technology – the plan, authored by the Higher Education Strategy Group, said the current definition of a university would need to be amended. Other recommendations include a more significant autonomous role for the Higher Education Authority, which oversees Ireland’s third-level institutions, greater interaction between educational institutions and enterprise, and a reform of the grant system, which is to be made means-tested. Higher Education grants would, under the report’s recommendations, be administered by a central agency rather than through the country’s various local authorities and VECs. 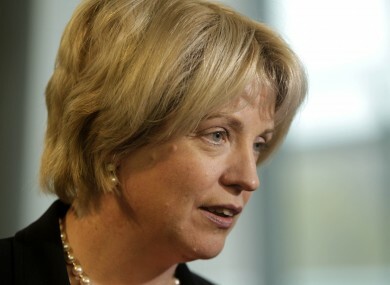 Tánaiste and education minister Mary Coughlan said the report provided “a considered and informed basis for Government policy on the development of higher education in Ireland”, and described the report as a “comprehensive policy and operational framework”. Launching the report this afternoon, the Irish Times reports, Coughlan also said that the government would consider outlining formal criteria for redesignating ITs as technological universities would begin with a public consultation in a few months’ time. The chairman of the Higher Education Strategy Group, Colin Hunt, said there was “deep concern to ensure that higher education can continue to deliver the personal, social and economic capital that has enriched this country”. USI cited analysis of a similar scheme in Australia, which it claimed had forced the government to “write off billions of Australian dollars in student debt”. The report in full can be found here. Email “New education report recommends return of tuition fees”. Feedback on “New education report recommends return of tuition fees”.